May 23, 2009 - audio only. May 12, 2009 - audio only. Study the effectiveness of current regulation and practices of debt management providers in Texas, including credit service organizations, and assess the extent to which individuals' estates are protected in transactions with debt management providers. Make recommendations to enhance protections. Study the guardianship program implemented by the Department of Aging and Disabilities and the Department of Adult Protective Services, including the efficiency and effectiveness of the program, the relationship between the two agencies, the appropriate rights for parents, and whether clients and their assets are adequately protected. Study and make recommendations to promote and enable confidential information sharing among state agencies and courts serving at-risk children and youth to ensure that comprehensive and appropriate services are being provided. The study should focus on the technological, legal, and fiscal barriers that prevent information sharing among these entities regarding affected children and youth. Evaluate the voluntary relative placement process in issues of guardianship and the ability of nonparent relatives to make decisions for children under their care. Monitor the progress and implementation of SB 1598 relating to an agreement authorizing a nonparent relative of a child to make certain decisions regarding the child. 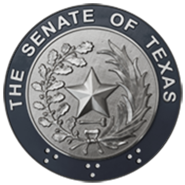 Monitor the implementation of legislation addressed by the Senate Committee on Jurisprudence, 81st Legislature, Regular and Called Sessions, and make recommendations for any legislation needed to improve, enhance, and/or complete implementation.